LRB Arms M14/M1A Barrels - LRB of Long Island, Inc.
BARREL, MEDIUM WEIGHT: 18.5" length, DMR contour, chrome lined, 1-10 twist, finished chamber, chrome moly, parkerized. M14 / M1A. KRIEGER BARRELS (listed below) ARE A SPECIAL ORDER ITEM. BARREL PRICE INCLUDES SHORT CHAMBER FEE, HEAVY CONTOUR OP ROD GUIDE (heavy bbl only), AND SHIPPING TO LRB. PAYMENT IS NON-REFUNDABLE. BARREL WILL BE SHIPPED TO CUSTOMER IN THE EVENT ORDER IS CANCELLED. 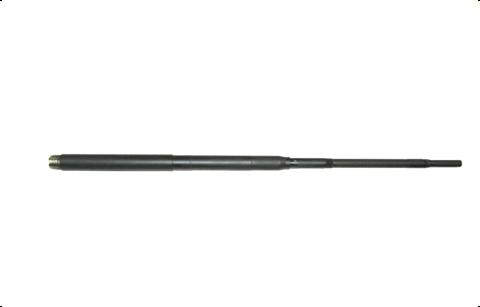 NEW ITEM - BARREL, KRIEGER MEDIUM WEIGHT: 18.5" length, Chrome Moly. Single cut rifling. Price includes short chamber and shipping to LRB. Special order item. Made in USA by Krieger.​ M14 / M1A. NEW ITEM - ​BARREL, KRIEGER MEDIUM WEIGHT: 18.5" length, Stainless Steel. Single cut rifling. Price includes short chamber and shipping to LRB. Special order item. Made in USA by Krieger. M14 / M1A. NEW ITEM - ​BARREL, KRIEGER MEDIUM WEIGHT: 22" length, Chrome Moly. Single cut rifling. Price includes short chamber and shipping to LRB. Special order item. Made in USA by Krieger. M14 / M1A. BARREL, KRIEGER MEDIUM WEIGHT: 22" length, Stainless Steel. Single cut rifling. This is the same barrel currently used by U.S.M.C. Price includes short chamber and shipping to LRB. Special order item. Made in USA by Krieger. M14 / M1A. BARREL, KRIEGER HEAVY WEIGHT: 22" length,Chrome moly/ parkerized. Single cut rifling. Price includes short chamber, heavy contour op rod guide (not installed), and shipping to LRB. Special order item. Made in USA by Krieger. M14 / M1A. BARREL, KRIEGER HEAVY WEIGHT: 22" length, Stainless Steel. Single cut rifling. Price includes short chamber, heavy contour op rod guide (not installed), and shipping to LRB. Special order item. Made in USA by Krieger. M14 / M1A.